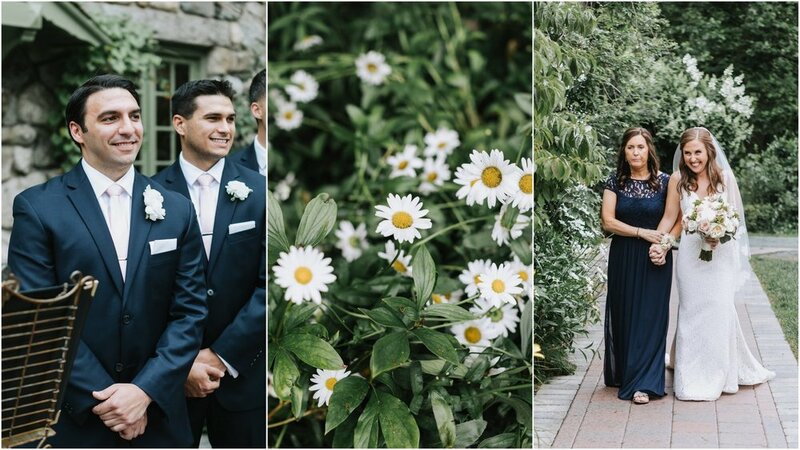 There’s nothing like a fall wedding at Willowdale Estate - PLUS, don’t miss Sadie the adorable flower dog, an ice cream sundae bar, 3 kinds of wedding cake (including funfetti) and homemade baklava baked by her mama! This pumpkin spice Cape Cod wedding was complete with an oceanfront ceremony, flower girl grandmas, spiced rum cider, pumpkin candles, and fresh donuts - their reception literally SMELLED like all the best parts of fall! 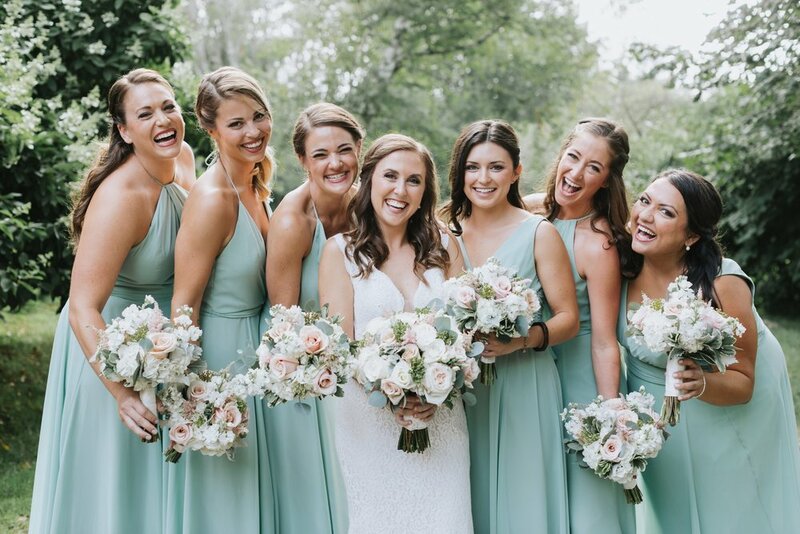 And for this party animal, Drake-loving couple and all their wild friends and family, they turned Wequassett Resort into the hottest nightclub around. A sunflower garden first look, a joyful seaside ceremony, a vintage VW bus photo booth, a romantic tree swing, rainbow macarons, a dance floor under the stars, and late night apple fritters from Back Door Donuts… yeah, Ana and Adam threw the perfect end of summer bash on Martha’s Vineyard. Ready to get weird at the ICA? Erin and Jack know how! Check out this modern, colorful wedding at the Institute of Contemporary Art in Boston! When it rains, rock with it! 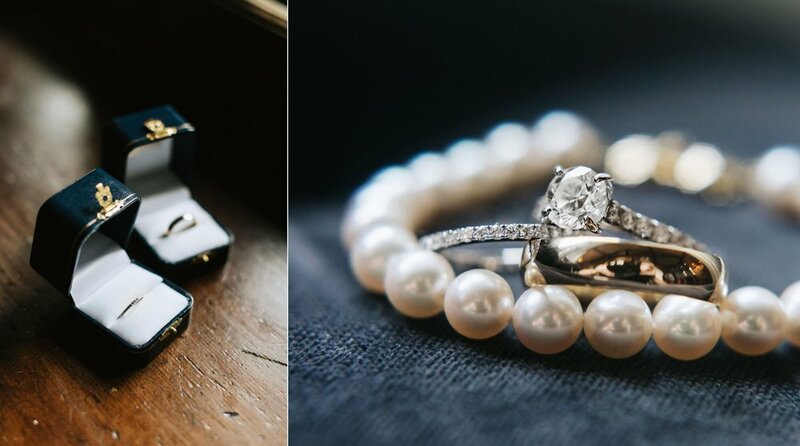 This luxurious Newport wedding at Castle Hill Inn was nothing short of spectacular: thousands of roses, lush flower arrangements, modern chandeliers, a swoon-worthy satin dress, oceanside cliffs, and even late night Milk Bar truffles! Amanda & Vinny tied the knot and you’re gonna LOVE these photos! 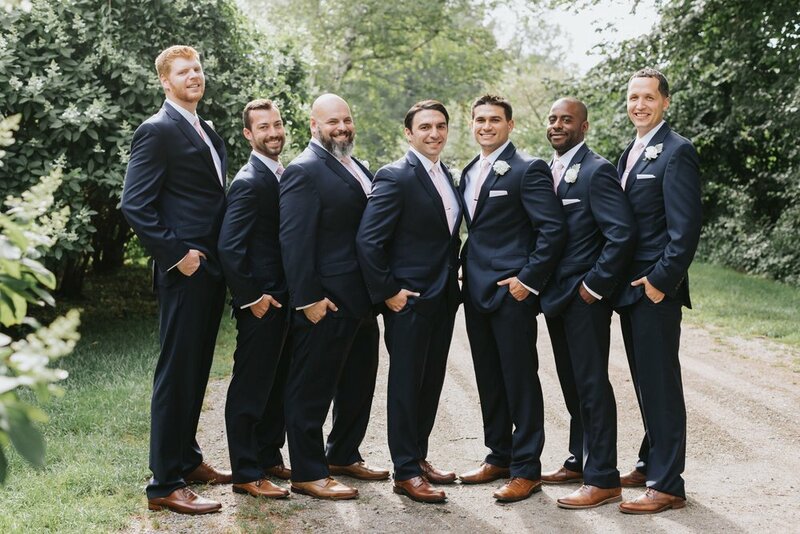 Jacki & Dustin tied the knot at the charming, historic Eisenhower House in Newport, Rhode Island with 35 of their closest friends and immediate family - we mean INTIMATE! Did you know that Jacki made her own wedding cake? Yup! Don’t miss this wedding! A Crane Estate wedding fit for a princess and her prince charming! 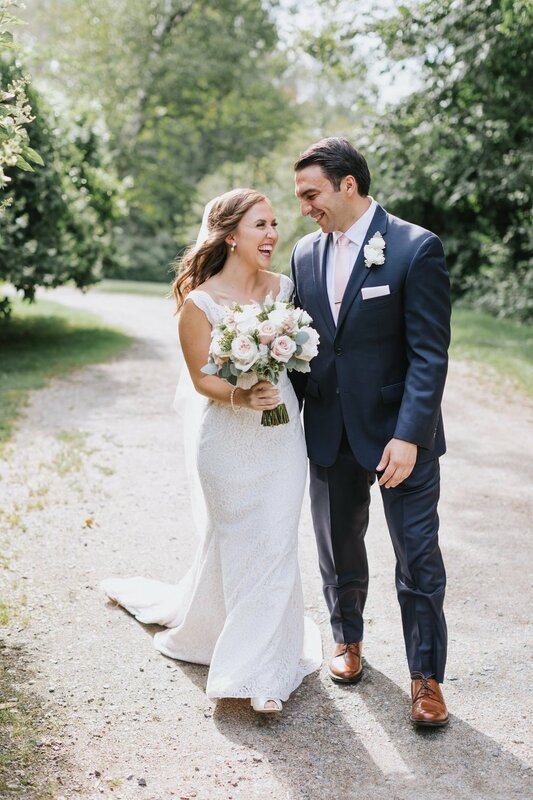 High school sweethearts Alexsis and Keith tied the knot at Crane Estate’s Castle Hill, complete with rolling hills, Italian gardens, a tearful ceremony, and LOTS of dancing. 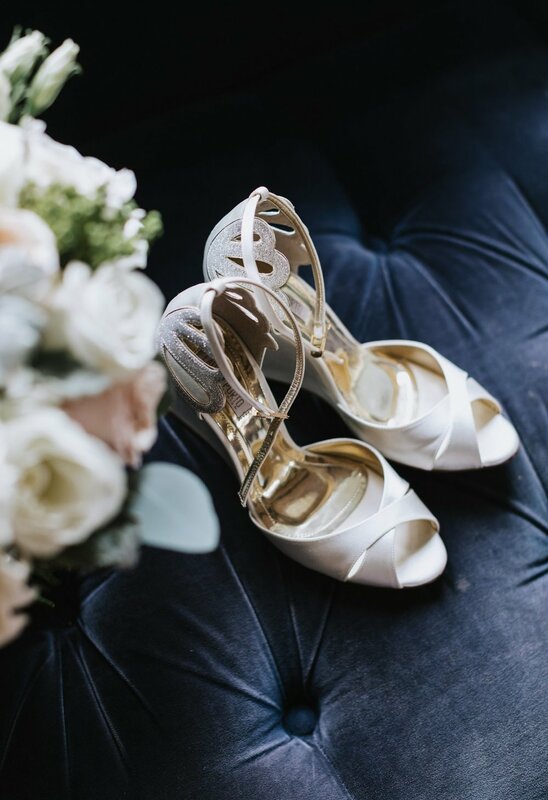 Don’t miss this elegant, black tie wedding on the blog! Mallory & Ryan have known each other since high school, through awkward encounters and mutual friends. After realizing they were particularly sweet on each other, Mal & Ry patiently waited for the right timing to be together. Between law school, medical school, Connecticut, and Boston, Ryan popped the question by the romantic reflecting pool in Boston, and she said YES! With the forecast showing thunderstorms and rain at Willowdale Estate all day, Mallory & Ryan prepared themselves for a wet wedding day. It poured all morning long, as predicted. As Mallory descended down the stairs to see her husband for the first time, something miraculous happened: the SUN came out. After a joyous first look, the ceremony began. Right before their first kiss, everyone could hear the pitter patter of drops bouncing off the tent - it began to pour as they sealed their marriage with a kiss and ran down the aisle. Show these vendors some love! 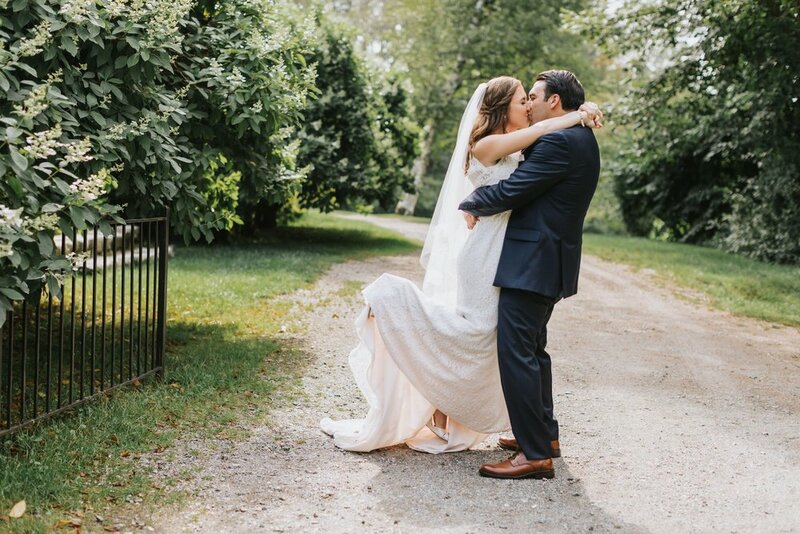 Did you like this romantic summer estate wedding? On a hot, sunny June day, Somaly & Samnang (lovingly known as Maly & Nang) celebrated their first ever moments as husband and wife. 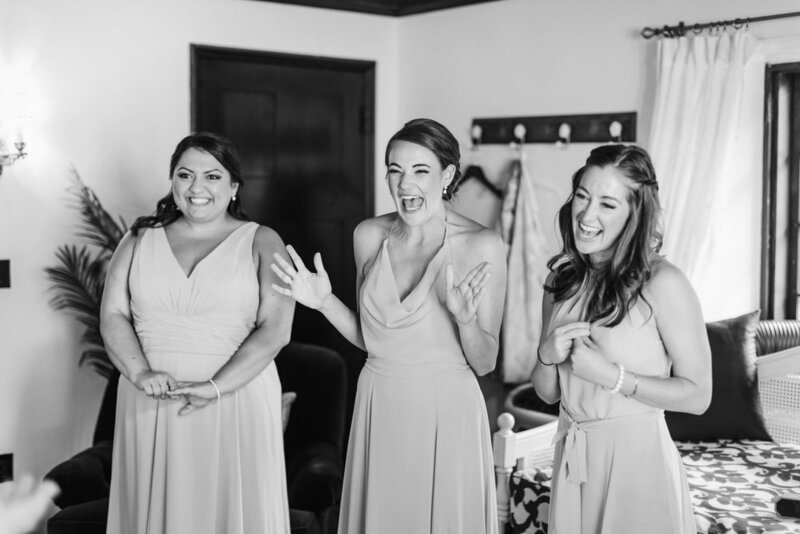 As she recalled the first time they met during the ceremony, Maly began to cry. 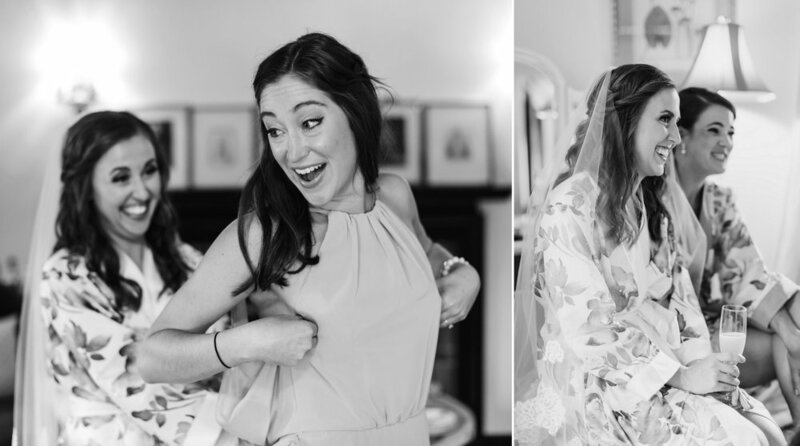 The pair has known each other for over 15 years, shared Long Island iced teas in clubs all over the world, got engaged on a beach in Bali, had a beautiful daughter Abzelle (quote from the bride: "She's the best thing ever"), and are so excited to spend the rest of their lives together. They mixed American and Cambodian traditions, having a single-day wedding at a nontraditional venue, The Stevens Estate in Andover, MA. They had an American ceremony, then Somaly changed into a traditional Khmer bridal dress to collect envelopes full of money from their guests. From their doughnut bar, to the guests' talents in breakdancing and c-walking, to the hundreds of family members traveling from near and far to celebrate, last night was a night they will never forget! Maly & Nang - your wedding was such an incredible experience full of SO many laughs and even more love. Abby is the luckiest girl to have you both as her parents - congratulations Mr. & Mrs. Kong! You're the bomb.com! Thank you to all the amazing vendors!!! 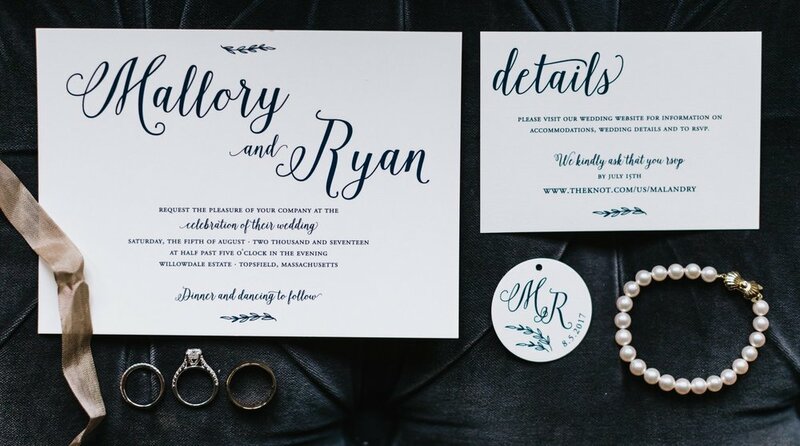 Invitations: Zazzle, designed by Blush Paper Co.
At 5:30pm, the doors to the Boston Public Library reopened for a very special event: Meg & Joe’s wedding. Meg & Joe would land on the more quiet side of the spectrum, and their wedding reflected the elegance of their love without frivolity - because who needs flowers when you have a Renaissance style “palace for the people” built in 1895 and filled with French antique marble? As dusk fell, beautiful magenta uplighting illuminated the courtyard as their guests settled into their seats. Meg & Joe read their own vows, promising to always support one another and to never jump ahead in their Netflix queue alone. 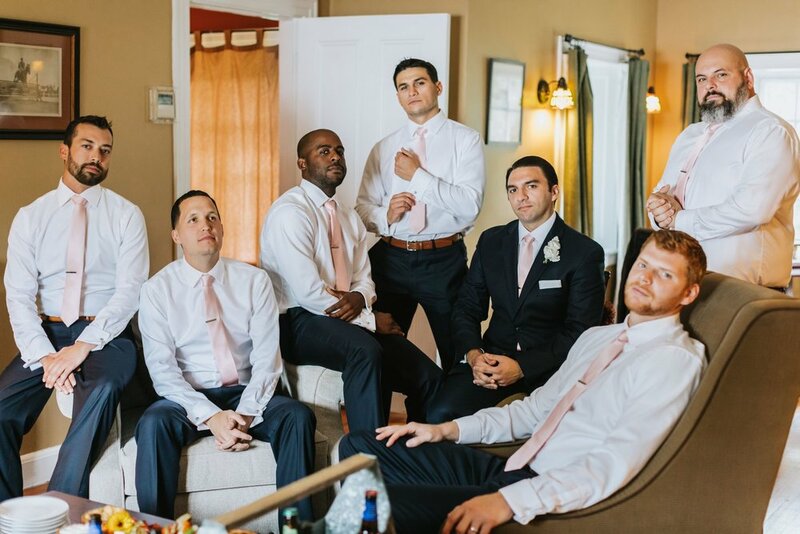 They said, “I do” and joined their guests for a rousing cocktail hour in the courtyard. Dinner was served in the Guastavino Room, with dancing and dessert in the epic mural-covered Abbey Room upstairs. 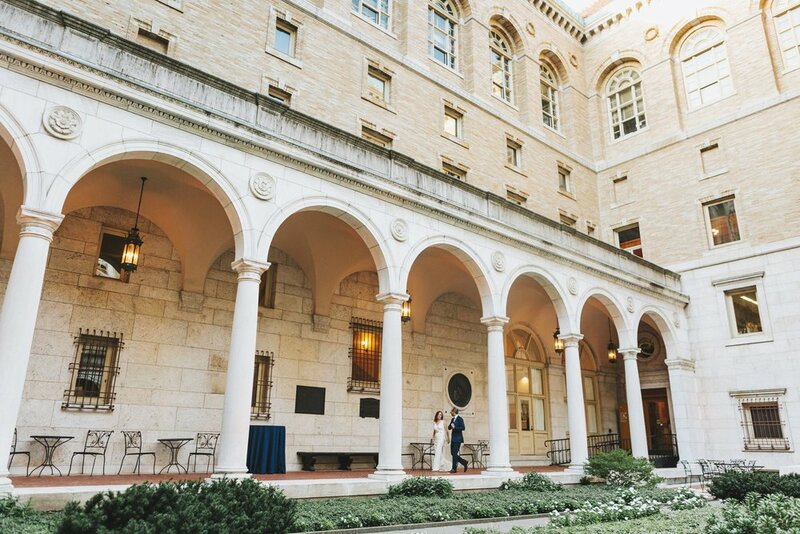 The grandiose European architecture in the library served as the perfect backdrop for these lovers of learning, and the live band serenaded everyone past midnight. Meg & Joe, may your new life together be filled with adventures to every corner of the globe, lazy Sunday snuggles with your pup, and a lifetime of love and happiness.